Restoring from iCloud and “Time Remaining” Is Stuck, How to Fix (iOS 12 supported)? Have you tried restoring your iPhone backup from iCloud and your keep seeing "Time Remaining: Estimating", but nothing else happens? If you're stuck on this screen and have waiting it out with no results, there are a few things that you can do. Probably not what you want to hear, but sometimes restoring backups just take forever. This can be for a number of reasons—for example, if you have a slow connection or you have a lot of data on your device. Sometimes you might have to wait as much as an hour or more. Try waiting and seeing if iCloud eventually gets past that screen. Indeed, there are alternatives for backing up and restoring your data. It doesn't just have to be iCloud and iTunes. One great alternative is iMyFone iTransor (renamed from D-Port Pro). 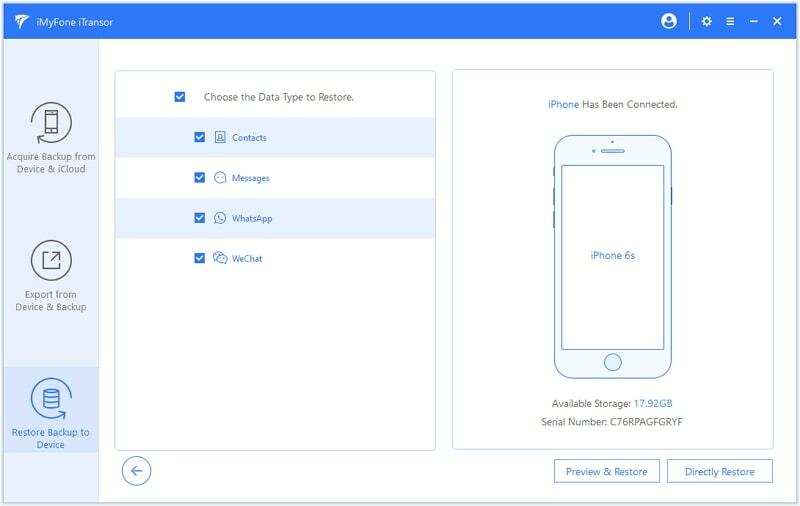 It's an application that allows you to back up and restore data from your iOS device, but with a lot more options than you would find with iCloud. It also does it faster. Restore an iCloud backup in a very short time, often shorter than 20 minutes. It can restore data from different iCloud backups. 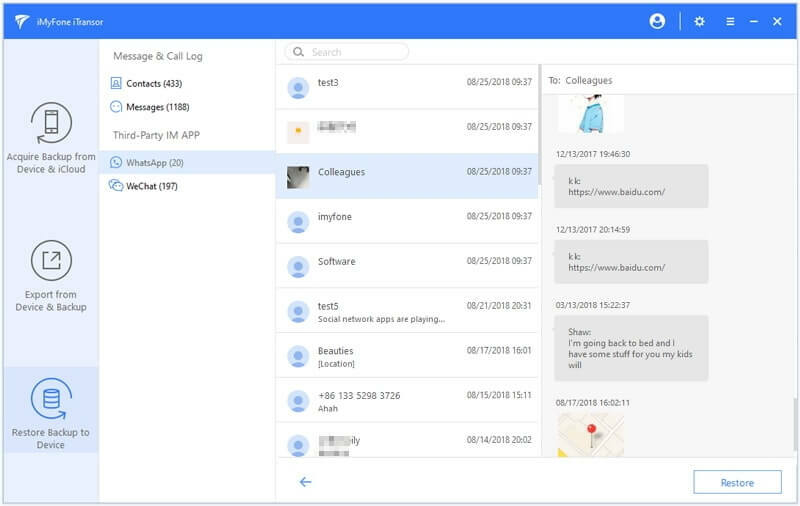 You have the freedom to export partial data like contacts, messages, WhatsApp and WeChat as much as you want. It can selectively restore data from your iCloud backup without overwriting or affecting other data on your iPhone. It can restore data from iTunes backups as well. It supports restoring backups to your new iPhone 8 or iPhone X, as well as older iPhones. It supports the latest iOS 12, as well as the other iOS versions like iOS 11/10/9 and etc. 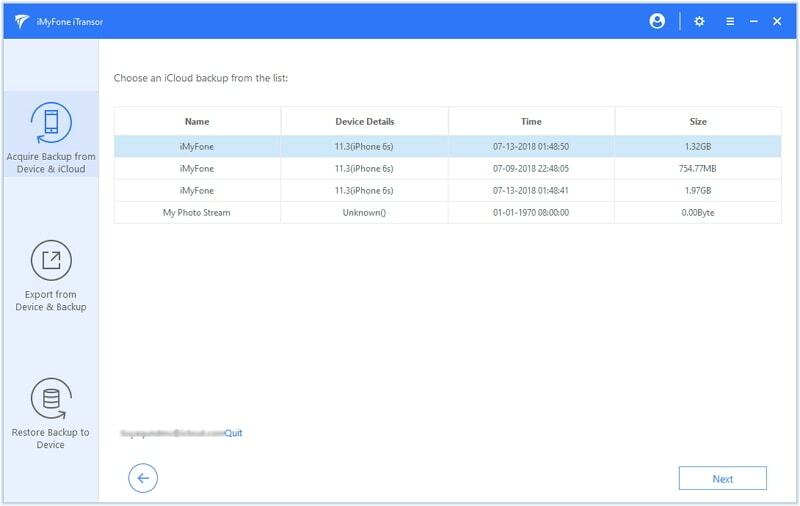 How Do You Selectively and Quickly Restore Data from an iCloud Backup? (1) Download and install iTransor on your computer. 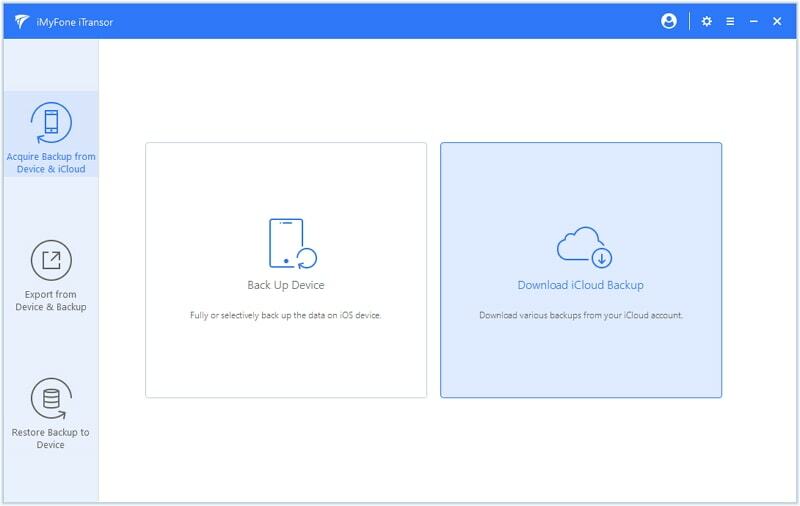 (2) In iTransor, click where it says Acquire Backup from Device & iCloud on the left side of the screen and you need choose Download iCloud Backup. 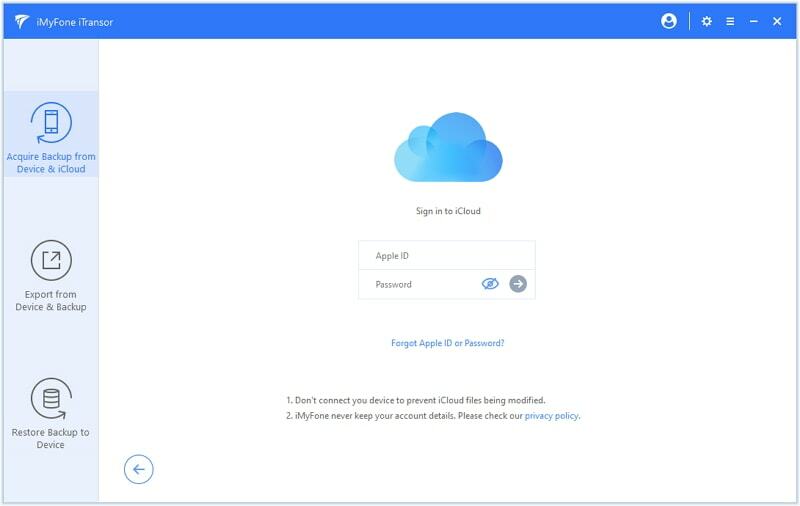 (3) After that, you need to log into your iCloud account. Don't you worry that iMyFone won't keep any privacy of user's account information. (4) Choose which backup you want from the list and click Next. 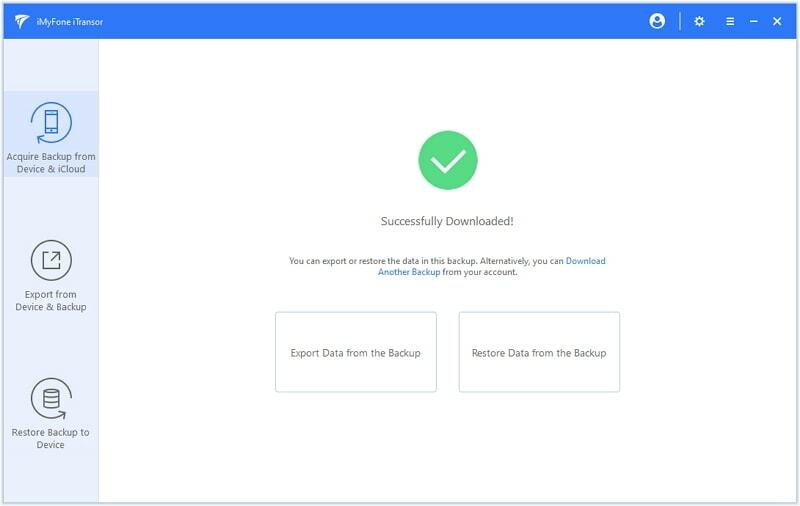 (5) After the program downloads your backup, you will see the data listed on the screen. Select "Restore Data from the Backup". 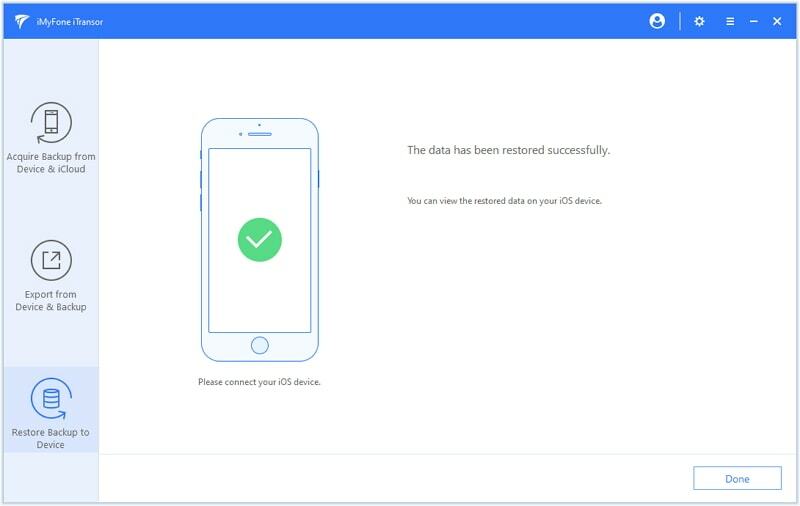 (6) Choose what kind of supported data you want to restore from this iCloud backup and connect your device to computer. (7) You can choose "Preview & Restore" or "Directly Restore". If you choose to preview first, you will see the following picture. 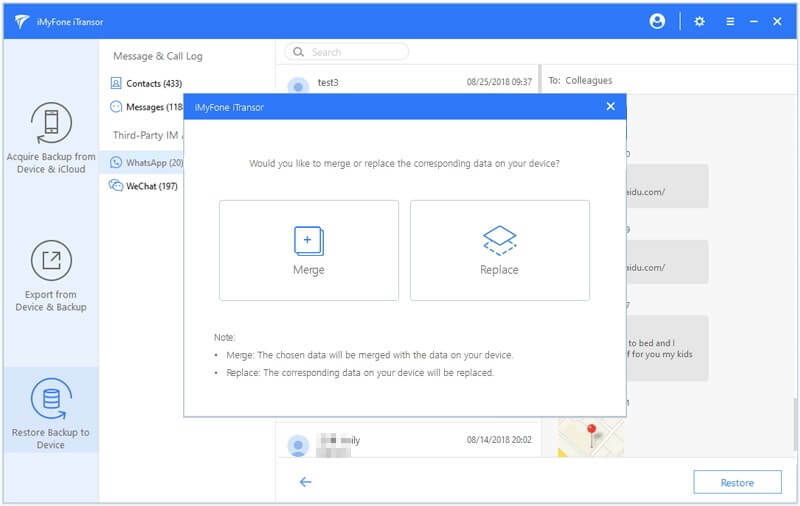 (8) Here if you do not want to replace the corresponding data on your device, you can choose the "Merge" option; if you want all the corresponding data on your device be restored by these data from backup, you can choose "Replace" option. (9) Now wait for the process to complete and you can view the restored data on your device later. 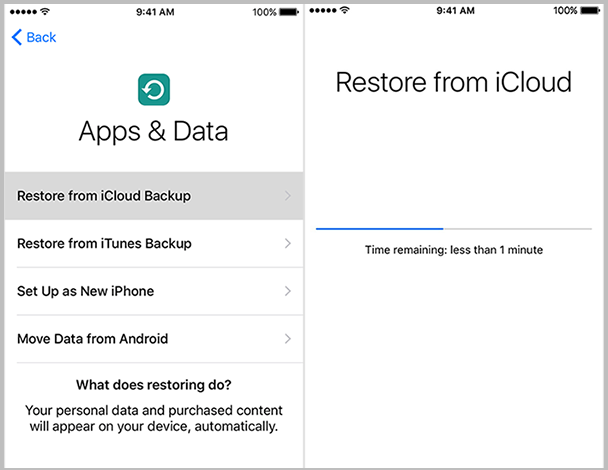 Restoring an iCloud backup doesn't have to take forever. If it gets stuck, you can just wait it out, but if you don't like to wait, you can always use iMyFone iTransor. Not only does it give you more freedom and options over your backups, but it is faster, too.